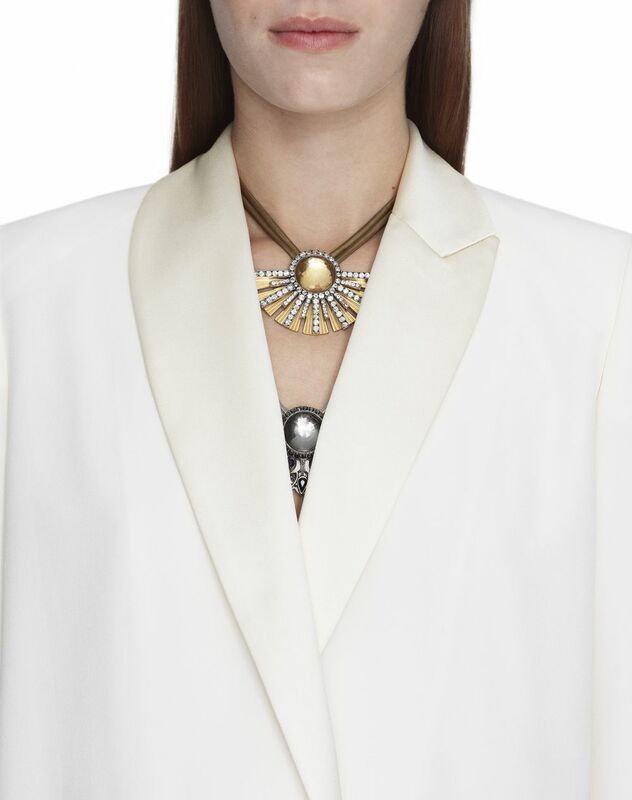 Tailored jacket in cream satin crepe, asymmetrical tailored collar in tone-on-tone silk satin, long sleeves, tone-on-tone topstitching, silk lining, and satin crepe button fastening. 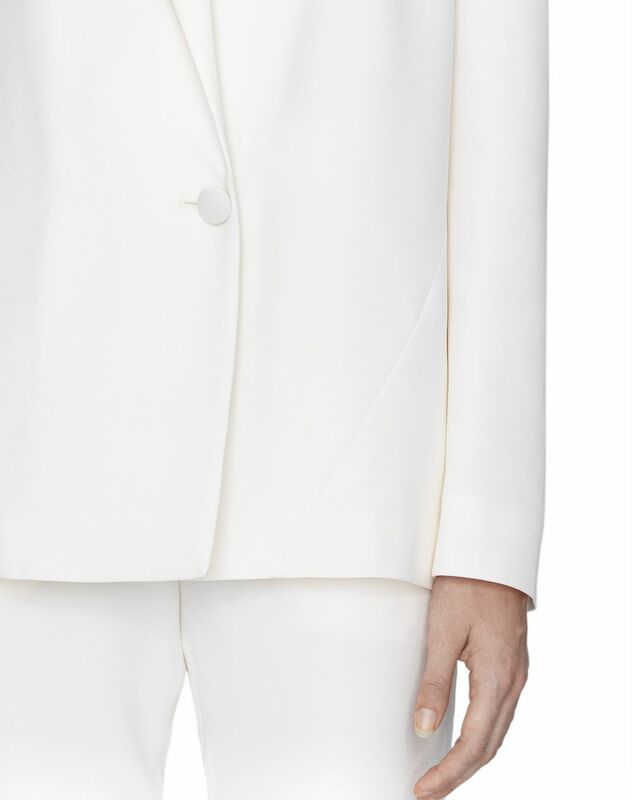 This satin crepe tailored jacket is a testament to Lanvin’s tailoring expertise and combines softness, elegance, and femininity. 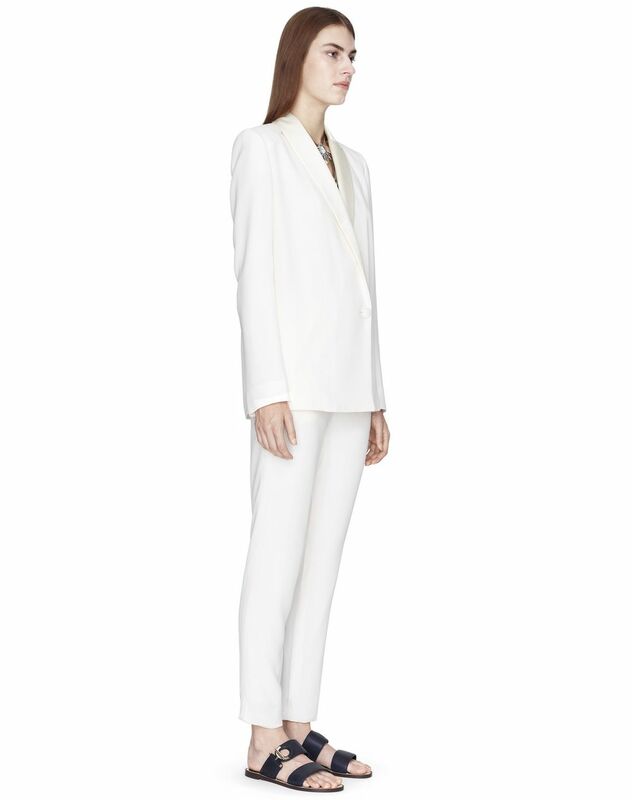 Modern and refined, this tailored jacket stands out for the satin look of its asymmetrical collar, a Lanvin signature, and its light cream color. 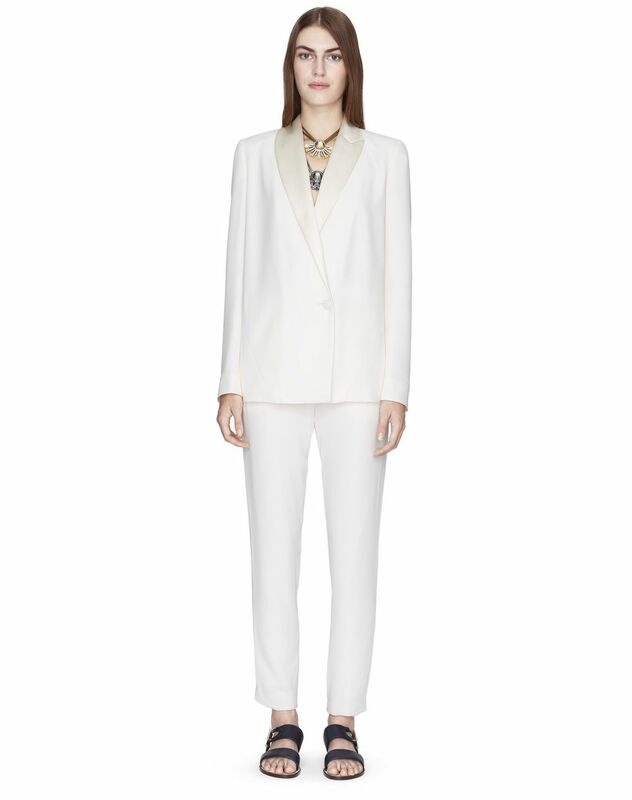 Perfect for both day and night, this jacket is an indispensable must-have in any woman’s wardrobe. 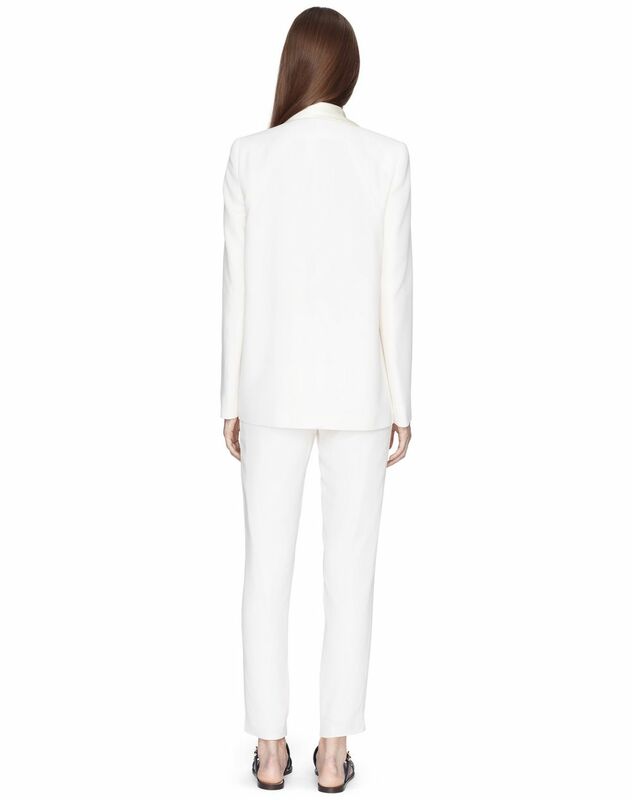 Main material: 61% viscose weave, 39% acetate weave. Secondary material: 70% silk weave, 30% polyester weave. Lining: 100% silk weave. Model's measurements: Height: 5’ 10” Chest: 33” Waist: 23.2” Hips: 34.6” Model wears a size 4. Made in Italy.